"Carter G. Woodson didn't just read history. He changed it." As the father of Black History Month, he spent his life introducing others to the history of his people. Carter G. Woodson was born to two formerly enslaved people ten years after the end of the Civil War. Though his father could not read, he believed in being an informed citizen. So Carter read the newspaper to him every day. When he was still a teenager, Carter went to work in the coal mines. There he met a man named Oliver Jones, and Oliver did something important: he asked Carter not only to read to him and the other miners, but also research and find more information on the subjects that interested them. 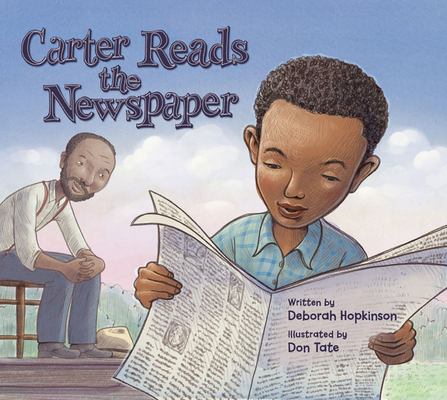 "My interest in penetrating the past of my people was deepened," Carter wrote. His journey would take him many more years, traveling around the world and transforming the way people thought about history.